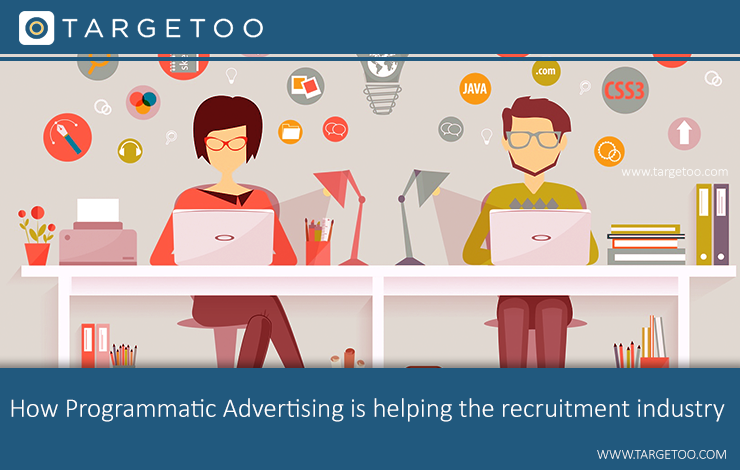 How can Programmatic Advertising help the Recruitment industry? More and more recruitment employees or agencies are beginning to understand the solutions Programmatic Advertising can offer. A lot of companies are in urgent need of finding (specific) employees. The IT/ICT sector, the medical sector and the engineering industry (to name just a few) have a global shortage of available candidates/employees. For recruiters, it's essential to apply smart (marketing) techniques to reach this secluded audience/target group. We work for several recruitment agencies - all around the world. Simply put, we can offer these companies two (2) campaign strategies that are likely to achieve a positive result (or; a filled job vacancy!). Upload the actual addresses/locations of thousands of companies that are (e.g.) operating in the IT sector. By setting up geo-fences and serving ads 'on' these exact locations, a specific (professional) audience can be reached. These databases are relatively easy to come by. A good Demand Side Platform can serve ads on about 220.000 individual apps and sites. Literally; every audience/hobby/profession has several to hundreds apps and sites dedicated to them. It's possible to select just these specific publishers and serve ads in them. For example it's possible to serve on about 30 apps/sites that are specifically related to IT/ICT. The same applies for the medical sector, finance, construction, engineering and many other specific professional audiences. Contact us for more information!